Speed Kills was created for a game jam at my university. For this game jam I decided to try something new and create a game using Lua, a language that I’d never used before. To compensate, this is a very simple game. It’s a local multiplayer game of reflexes, where each player is represented by a dot that follows the tracks on the screen. 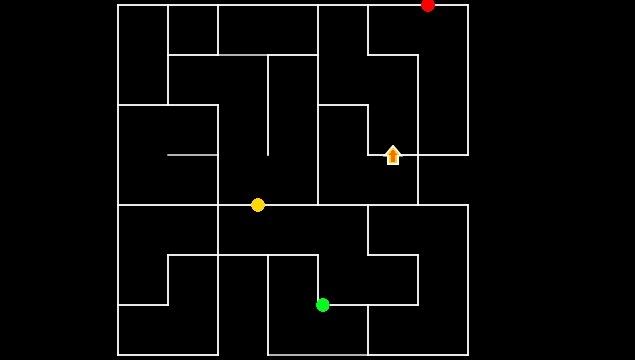 Each player has a set of 4 direction keys which they can press to specify the direction that their dot should move when it reaches the next intersection. The goal is to collect the powerup which allows you to destroy any others players that you collide with.